Let’s make some observations as we work through the first four verses of Psalm 139. For the purposes of study, the first four verses of Psalm 139 are easily considered together. The central idea being communicated by the psalmist (David) is “You LORD, know me”. As we progress from verse one through verse five it is revealed how and why God knows David. We should take notice of the pronoun “You”. It is easy to determine the antecedent to be the LORD Yahweh. David’s use of the pronoun tells us he is not talking about God, he is talking directly to God. This is a prayer. A beautifully constructed Hebrew poetic psalm of praise, expressed directly to Yahweh. Last time we discussed verse one, so let’s continue peering into this wonderful Psalm beginning in verse two. It seems to me the Hebrew poetic form of ascending (closely related to synthetic) parallelism is employed between verse one and verse two. 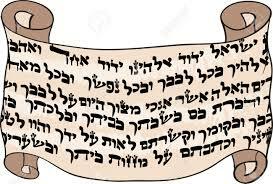 Verse two repeats the Hebrew word “known” or “know”, which is יָדַע (teda) meaning to perceive, to acquire knowledge, to know, to be acquainted (Gesenius’ Hebrew and Chaldee lexicon to the Old Testament Scriptures). In Ascending parallelism a word from the previous sentence is repeated and more information is provided. In verse one Yahweh knows David because He has thoroughly investigated him. In verse two we are told that Yahweh also knows the psalmist’s “sitting down” and his “rising up”. This verse tells us that in essence God is watching David. God knows when David ceases from activity (sits down) and when he begins to do something (rises up). When David says, “You understand my thought afar off” he is acknowledging that Yahweh does not need to be in the same room with him in order to be aware of the mediations of David’s heart (see Psalm 19:14). God can be “afar off” and still know the thoughts that consume man. Regardless of God’s proximity to man He knows man’s plans, passions, pursuits, likes and dislikes. God literally knows our every thought. God most certainly comprehends our every thought, he is able to shake out or winnow every complicated, interwoven thought, intention and motivation we entertain. Swinging His word like a sword Yahweh severs and separates those parts of our being that we see as complicated. He is quite familiar with or acquainted with all David’s as well as our ways. Nothing we can come up with surprises God. Verse four says, “For there is not a word on my tongue, But behold, O LORD, You know it altogether.” David recognized, and we would should too, that God know each and every word that is poised on the tip of our tongue before it is formed into sound. Not only does Yahweh know everything we say, He knows everything we are about to say! What a remarkable God! He is truly worthy of our worship. When we read the description of God’s Word in Hebrew 4:12 the following verse makes perfect sense. God knew the psalmist, He knows me, and He knows you. He knows us so totally and thoroughly that it is simply beyond our comprehension. What would motivate Him to know us so completely? If it were to simply punish us for the things we do wrong, He would just make note of our sinful deeds. He wouldn’t bother with thoroughly examining our every thought, every sitting down and rising up. He wouldn’t bother piercing our soul and dividing our thoughts from our intentions. God has numbered every hair on our head – He loves us that much (Matthew 10:31-31). “16 For God so loved the world that He gave His only begotten Son, that whoever believes in Him should not perish but have everlasting life. 1 Reply to "Psalm 139:1 - 4"
Great thought: he cares about us so much that he separates all of our thoughts to know us perfectly. If he wanted to just correct our sins, he would not perfectly love us.